International issues permeate all functional areas of business and industry, from production to marketing.The IMC academic programmes offer students a global perspective and an international viewpoint throughout the curricula. Latest subjects like Global Polito-economy, International Marketing & Finance, Cross- Cultural Management, Global Business Strategy,International Technology Trends, IT Enabled services etc. 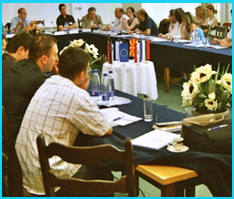 have been integrated into the curriculum, making it up-to-date and relevant in today’s business world. Seminars on the latest international developments in management and IT, with distinguished speakers from India and abroad, give further exposure to students. IMC students, pursuing International MBA and International BBA, are given extensive global exposure through special seminars and training on International Business. They are also taken on Foreign Study Tours to Singapore and Malaysia which comprises of industrial visits and special training at leading foreign institutes. Experience is one of the best ways to learn. Through on-the-job training and corporate internships, students gain valuable work experience and exposure to real life situations. Beside this, the students get a first-hand industrial and corporate exposure through special guest lectures, industry interaction, plant visits and so on. 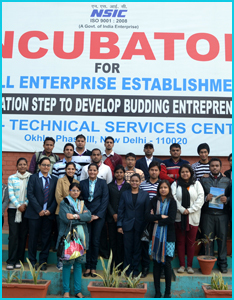 IMC students are also trained in Entrepreneurial skills and management by Ministry of MSME, Govt. 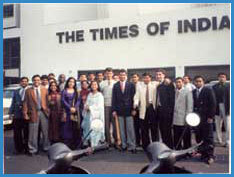 of India, through various programmes, especially tailor-made for IMC students. 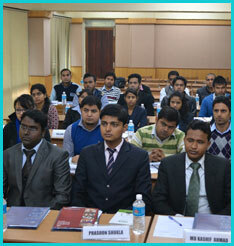 The students of IMC are privileged to a special training in International Business programme at IIFT, Delhi, Dept. Of Commerce (Govt. of India). Apart from its competent and experienced core faculty, IMC also has highly distinguished visiting faculty from the industry and academia viz. top notch institutes, organizations and Universities in India and abroad like FMS, University of Delhi, IIMs, JNU, IIT, Fairfield University,USA, Singapore Institute of Management etc, who share their knowledge and experiences with the students, giving them an excellent academic foundation. Students at IMC have the advantage of enriching their knowledge and furthering career prospects with the help of prestigious IIT & FMS worldwide alumni network support. Students at IMC are given a personal laptop/tablet computer to help in their presentations, studies and research work. They also get relevant study material from time to time. 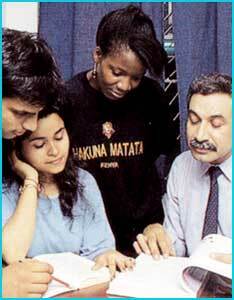 IMC has a state-of-art foreign language lab. On completion of language and cultural training all students of PG & UG courses are awarded foreign language certification. 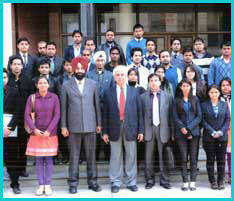 IMC facilitates arrangement of bank loans for its students. A number of scholarships, extended by different state govts., are also available. IMC as well awards various merit-based scholarships. Many institutes and colleges, especially the ones which have emerged over the recent years, aim at maximizing their student intake, resulting in sharp decline of overall quality of education. IMC always admits a limited number of students in each batch. 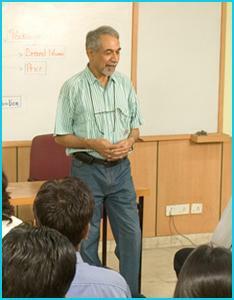 This helps in maintaining a high level of quality, coupled with personal mentoring of each and every student.